A Leamington firm of commercial property consultants has been instrumental in a Coventry manufacturer of bespoke luxury cars moving its operations to Silverstone. David Brown Automotive, which started out as a design studio and grew to three separate sites in Coventry, wanted to consolidate its manufacturing and office-based departments under one roof and asked ehB Commercial to find a new site. Nicholas Evans, a director of ehB Commercial, said his firm located the new-build on a business park just outside the racing circuit, which was an ideal location for the motor manufacture and its 25-strong workforce. He said that Silverstone would enable the company to construct between eight and ten of its £594,000 Speedback GT (inspired by the classic design hues of the Sixties) cars each year; and up to 100 of its £90,000 Mini Remastered cars, including the two limited production special editions, ‘Inspired by Monte Carlo’ and ‘Inspired by Café Racers’. “From a marketing perspective, our new location opens us up to many great local and national events, contacts and societies, as well as being in direct access to London and the international community,” he said. 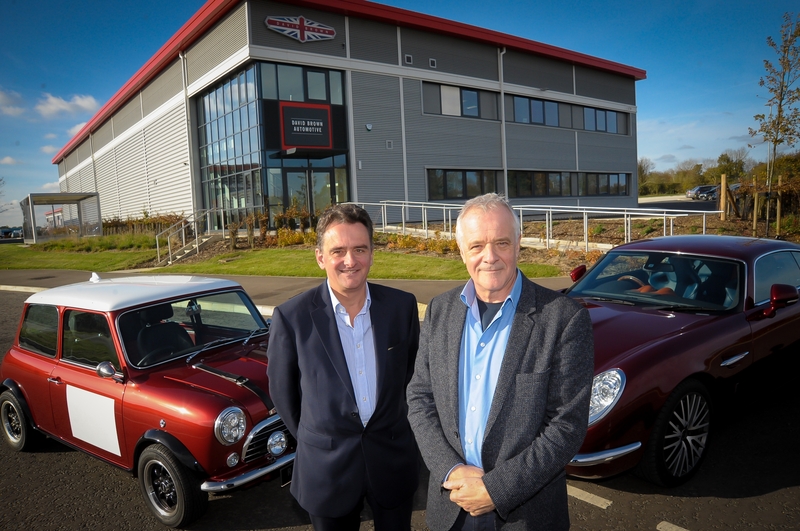 Mr Brown said the move to Silverstone was an exciting milestone for the business, which had grown significantly since the Speedback GT prototype’s launch in 2014. “Of course, Silverstone’s heritage as the home of British Motorsport and the only full Grand Prix circuit in the UK is hugely advantageous too. We’re proud of our partnerships with a number of British suppliers, and the chance to grow alongside an even wider supplier network around Silverstone is something we’re equally proud of. “Our Silverstone facility provides the perfect base to take the company to its next stage. Not only is it in a fantastic location geographically, but has a wealth of the country’s best automotive specialists and suppliers on our doorstep. We are building a brand with real longevity and a customer base from all over the world. We are an ambitious company and have many exciting plans for new projects and future growth in 2018 and beyond,” he said.